Download Blackberry Blend Latest installer for your Windows or Mac. Nowadays this is a trend to share any data between a PC to a mobile device. 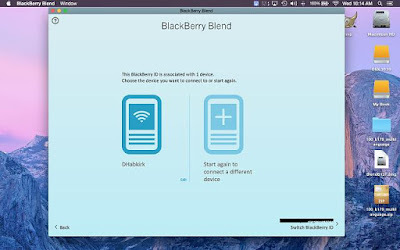 Every brand has its official software to connect the phone with PC and like it, the Blackberry has its Blend to share data between a PC to a mobile device. There are many similar things between Blackberry Blend and other sharing software but one feature is most popular and famous. You don`t need any wires and cloud sharing or now transfer between two devices. You can easily write a message and share it with multi contents of your phone. You can easily transfer your phone contacts to your PC or MAC using Blackberry blend. Easily move, copy or delete data from your phone using your PC. BlackBerry Blend helps you to easily integrate your phone with your Computer which holds windows operating system. You can easily connect your phone to your tablet and share your data between those two devices. Also, connect your phone to an Android supported device. Using Blackberry blend get the access to your BBM account and you are able to read and write any mail and receive all the emails on your PC using your BBM account. You can Download Blackberry Blend for your Windows operating system 7 and higher or Mac operating system OS x10 or later. Else if you wish to connect your phone to an Android smartphone or tablet you need an operating system of Android 4.4.2 or higher. The software contains a small size so during installing we don`t need the long time it can take just a few minutes to be installed on your system and you can download this latest version software by click on the given download link below. 0 Response to "Blackberry Blend V1.2.0.52 Latest Version Installer For Windows"